You may have thought the headline was a typo, but it is actually a geographical reference to the three magnificent coastlines of Canada. 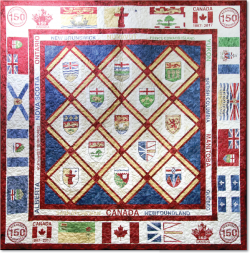 This year marks the sesquicentennial celebration of the birth of Canada, its 150th year, and Northcott is celebrating with this beautiful quilt by Elaine Theriault. That word is a mouthful, but we here in the U.S. will need to get familiar with it, because in 2026, we'll be celebrating our sesquibicentennial, or 250th birthday. 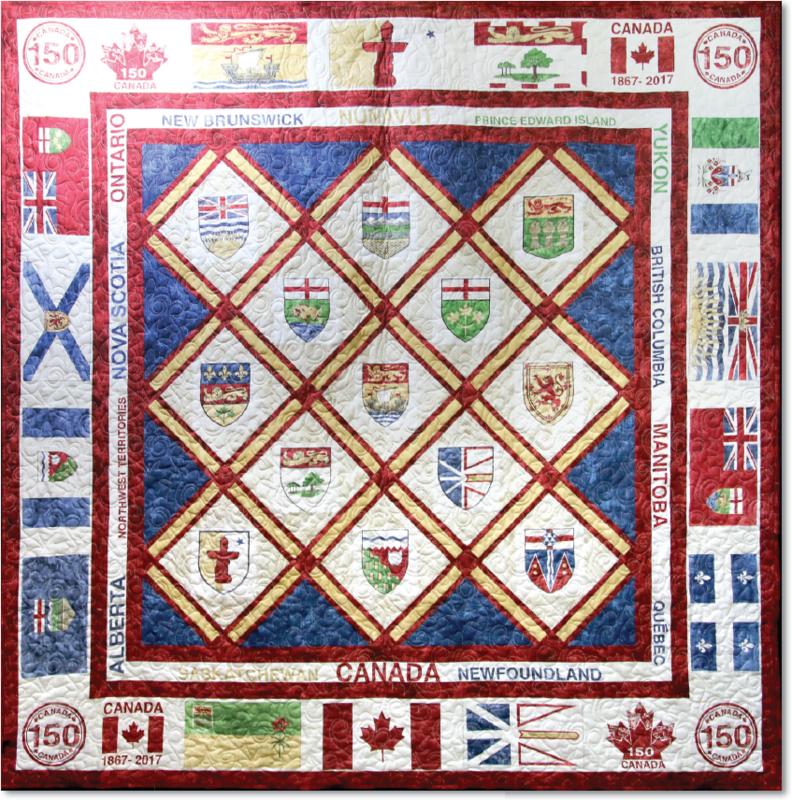 This pattern goes into excellent detail about the steps needed to create it, so if you're Canadian or just a fan, take a look at this project that celebrates the thirteen Provinces, we think it is an excellent tribute to the great nation of Canada. Be sure to also check out the resources Northcott has put together for this celebration, linked below. Enjoy! Click here for the Canadian Sesquicentennial resources created by Northcott!